Yes, you read that right. 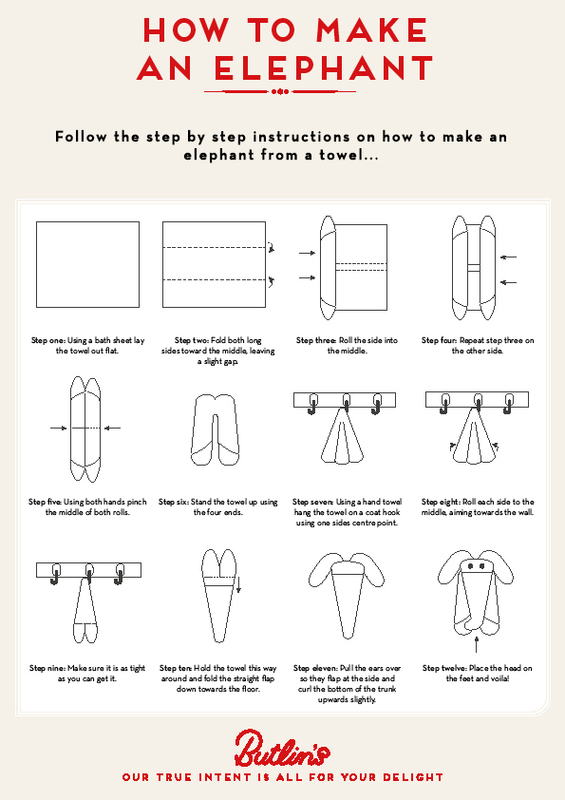 It’s National Origami Day; a day dedicated to celebrating the art of paper folding. Associated with Japanese culture, this art form originated as a way of creating and giving gifts. 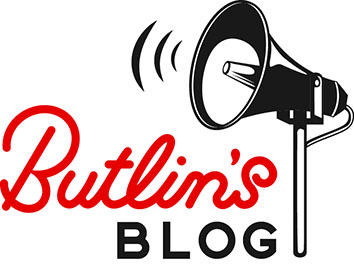 At Butlin’s we take our own view on origami, swapping paper for towels. 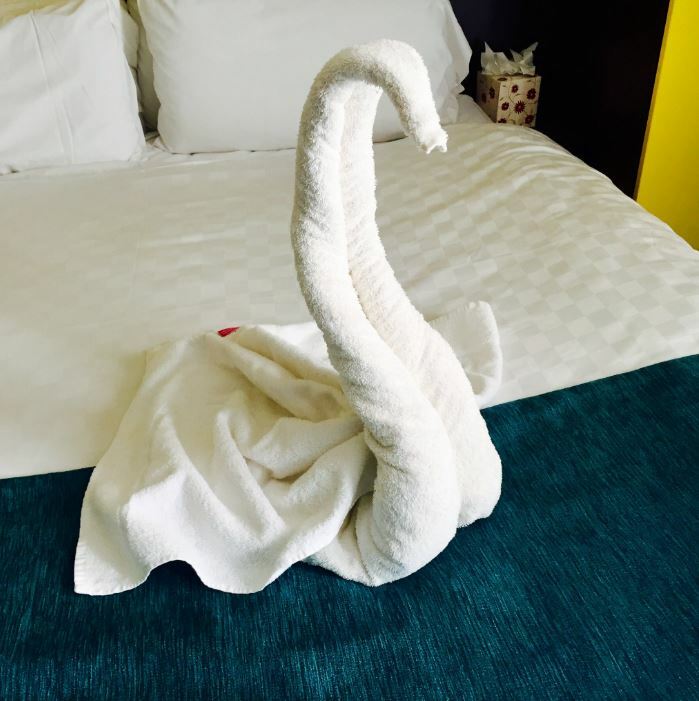 If you’ve visited any of our three resorts, you may well have seen the incredibly cute towel animals perched on the bed inside of your accommodation. 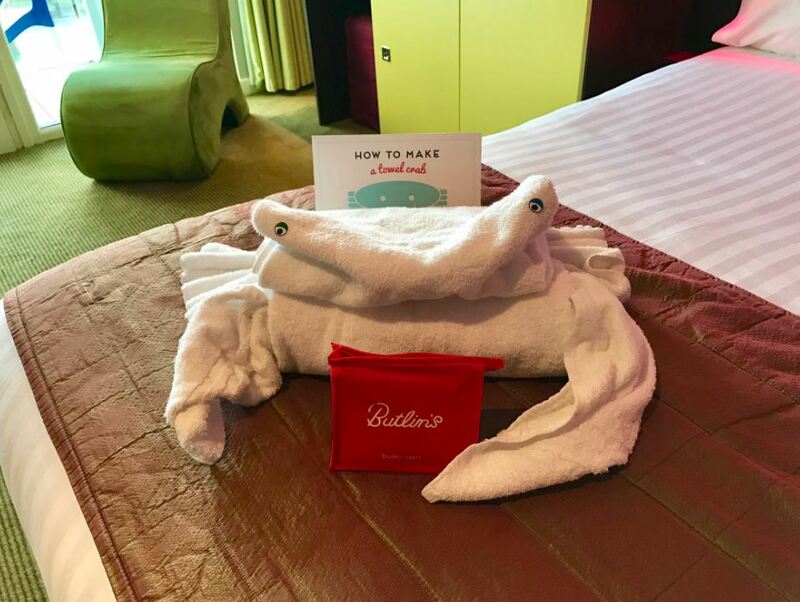 From spiders at Halloween to bunnies at Easter, we love to surprise our guests with towel characters which come with instructions so you can learn and practice this clever skill yourself. 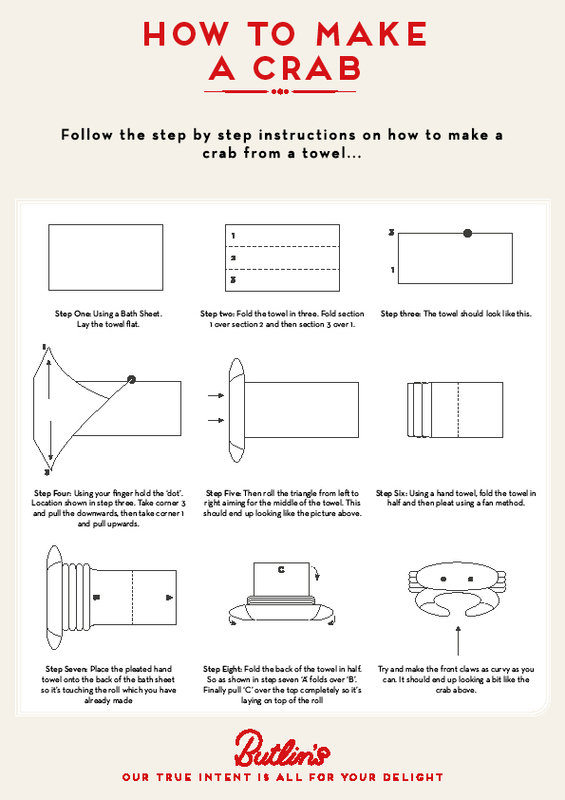 Seen as it’s National Origami Day, we wanted to share our favourite towel origami with you. 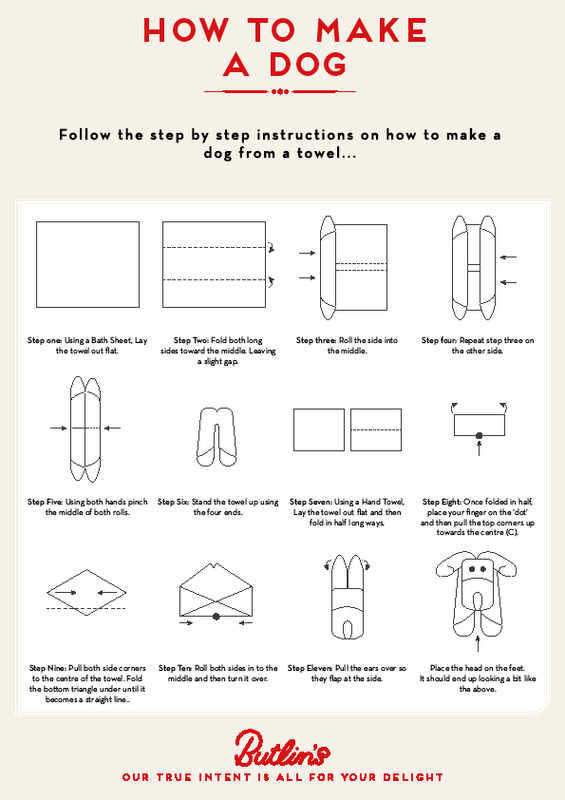 So pick from a dog, elephant, swan and a crab, download to your phone or print off our instructions and enjoy a bit of family origami. 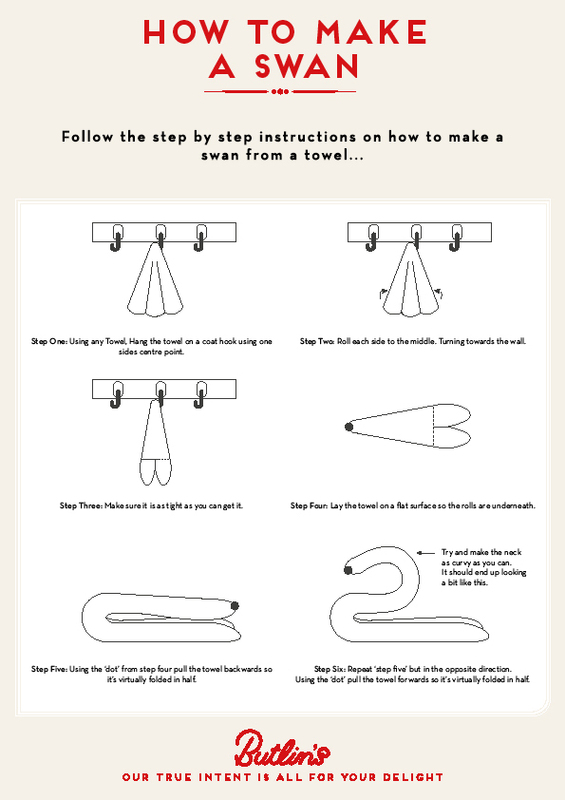 It’s also a cute and creative way to spruce up bath time! Enjoy! 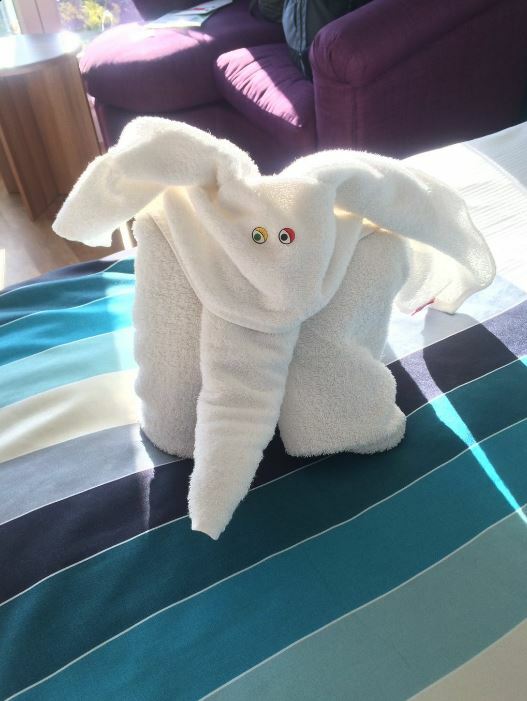 We’d love to see how you and your children get on with your towel origami animals, so send us some snaps on Facebook, Twitter or by tagging us on Instagram!